Lee Harwell is a writer with writer's block and a detective's need to uncover just what happened to his wife and her friends in a meadow in the 1960's. There was a guru, a ritual, and, at the end of the night, a dismembered body. 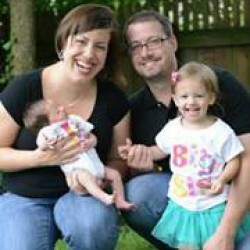 Harwell's wife, Lee Truax, has been obstinately silent about the events of that night. Thus, the story is the unraveling of these mysterious events as Harwell contacts the other people who were in the meadow that fateful night. Many of the disappointed reviews I saw we from Straub fans. Perhaps I liked it more than I would have if I had expectations going in. I found the ending to be fairly satisfactory. There are areas I'm fuzzy about...but just enough to keep me guessing. The characters are developed well. The mystery was intriguing. The running discussion about the nature of evil was interesting--if somewhat flawed. But in the end I felt that it was a bit lacking. I got to the climax and didn't feel that it lived up to the build up. Quite. At the same time, he still has me thinking about what it all meant, so maybe I'll figure out the missing pieces soon and bring it all together. 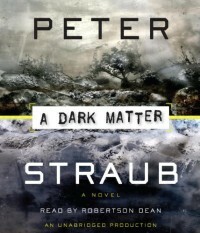 It's obvious that Peter Straub is a gifted storyteller. I'll make sure to check out some of his other stuff.